Opening of inter 1st year in selected 84 KGBVs (List Enclosed below) during 2018-19 in Telangana vide RC.2615 Dt: 08-06-2018 of Project Director, Samagra Shiksha Abhiyan, Telangana. Government of Telangana is going to open inter 1st year in 84 selected KGBVs. 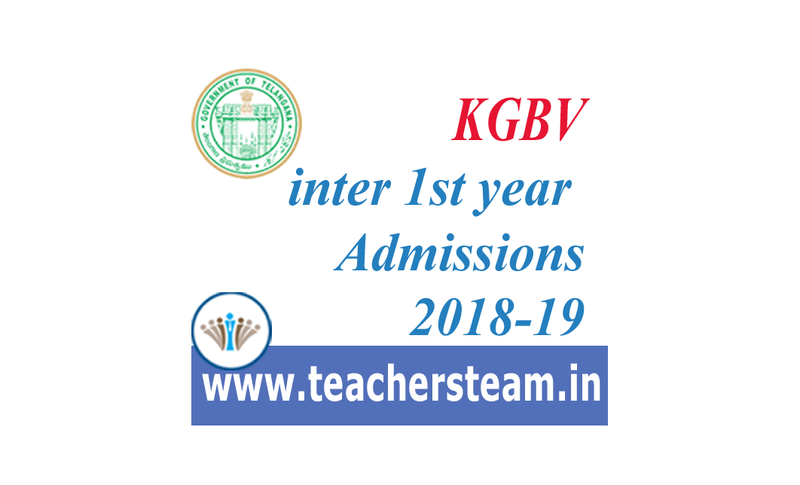 For that the government has announced a tentative schedule for admissions in Telangana KGBVs. Government further released required qualifications to teach the intermediate sections in KGBVs. Students can apply for admissions in to inter 1st year in 84 selected KGBVs as per the schedule given below by the Government of Telangana.